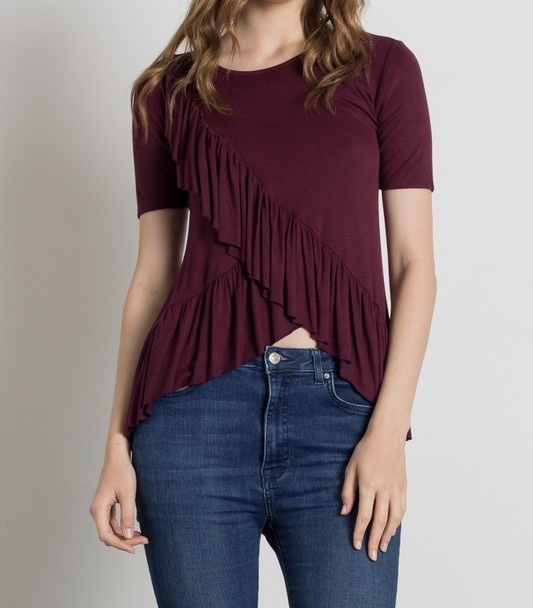 Knit, Solid, Loose Fit, Solid Color And Casual Style, Asymmetric Ruffled, Overlap Layered Bottom, Round Neck, Short Sleeve, Highly Textured. 96% Rayon 4% Spandex. 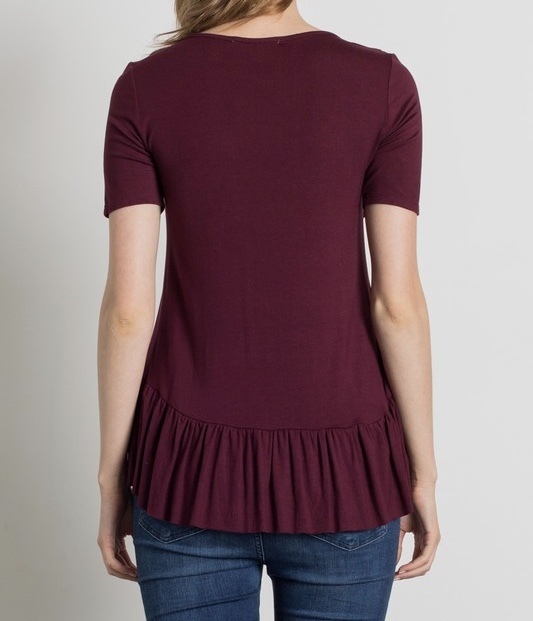 Soft And Silky Knit Fabric.